Hello! Today I have another Christmassy mani to share with you, this time with reindeer. 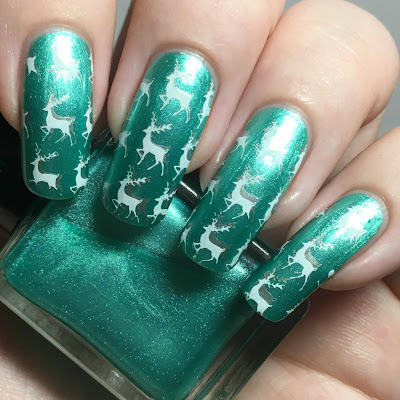 I have quite the reindeer obsession at this time of the year - I have a little family of them sat next to my Christmas tree - so I had to put some on my nails! I also attempted double stamping for the first time, something I've been meaning to do for a while. Read on to find out more! I started with a base of Vegan Beauty Cosmetics 'Emerald' (swatched here). This was one of my favourites from my swatcher pack, so I couldn't resist using it for some festive nail art. Below is three coats and topcoat. 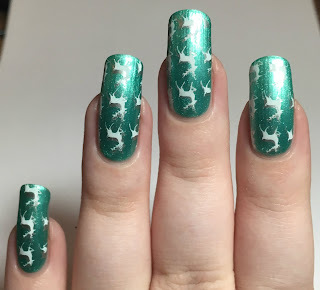 For my stamping, I used the reindeer pattern on MoYou London festive plate 03 and my Born Pretty Store clear stamper and scraper. I initially stamped onto each nail using Barry M 'Silver Foil'. Honestly this didn't show up massively well which is why I ended up double stamping! I stamped the same pattern again using Hit The Bottle 'Snowed In', offsetting it slightly from the silver. 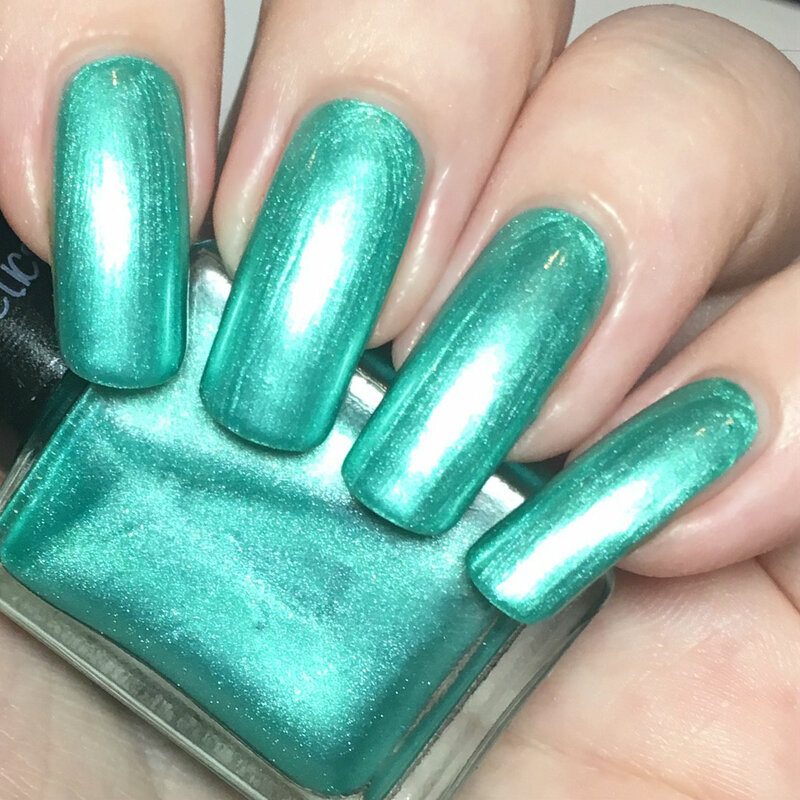 Apologies for the weird lighting here, the base is very reflective so the shine was covering the stamping. This was the middle ground between too shiny and too dark! What do you think? I'm quite pleased with my first go at double stamping. I was somehow convinced I'd smudge the first stamps, or ruin them somehow - but here we are! I'm also far too excited for Christmas, it's getting sooo close! Are you in the festive mood yet? 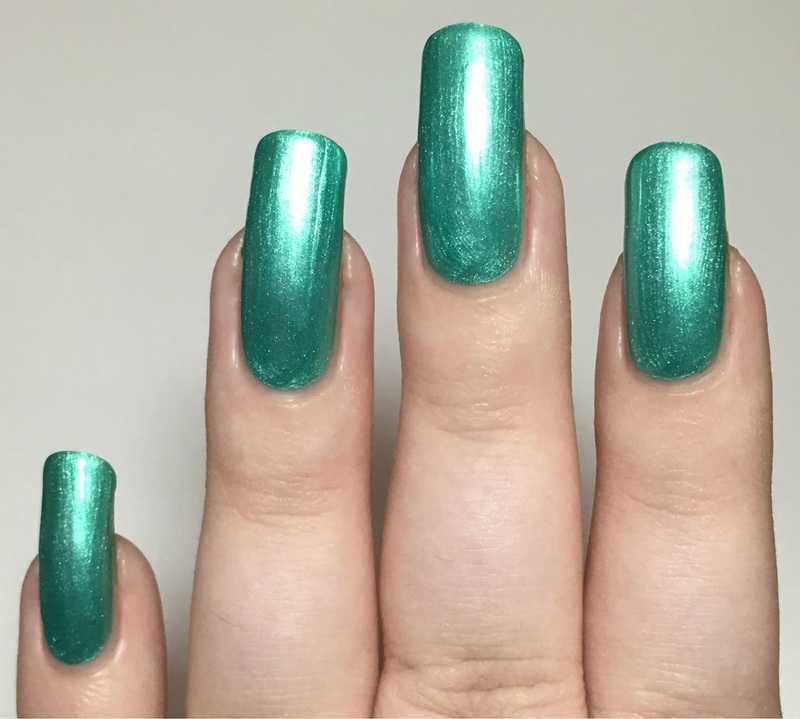 The double stamping is perfect even if it wasn't quite the original plan! 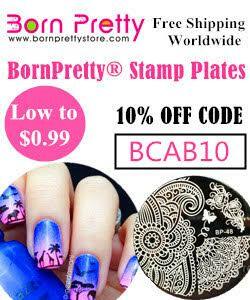 I absolutely adore your double stamping. The base color was the perfect choice too. nice! it looks kind of like a shadow! i need to do some more double stamping! Double stamping looks always beautiful.